(VEN) - Hanoi is building safe farm produce and food supply chains to increase sales, prevent price slumps and promote safe agricultural production. According to the Hanoi Department of Agriculture and Rural Development, the department has coordinated with 21 provinces and cities in the northern region to build and develop safe vegetable and meat supply chains. So far, 377 supply chains have been built, of which 182 have been certified as safe food supply chains. Many cities and provinces have built central agricultural production areas. Businesses have also invested in production, creating farm produce supply chains to serve Hanoi consumers. Examples include Son La Province’s vegetable production chain meeting VietGAP standards, Bac Ninh Province’s Dabaco chicken production chain, Hoa Binh Province’s pork production chain, and Lam Dong Province’s Da Lat vegetable production chain. In 2017, key products of Tuyen Quang, Son La, Nam Dinh, Bac Giang, Quang Ninh, Vinh Phuc provinces and the city of Hai Phong were available for sale to Hanoi’s consumers at Fivimart, Vinmart, Metro, Big C supermarket chains, and safe food stores, such as Biggreen and Bac Tom, as well as wholesale markets, works canteens and restaurants. Specifically, Nam Dinh Province sold 150 tonnes of pork paste, 2,000 tonnes of rice, 2,516 tonnes of clams, and more than 2,000 tonnes of seafood. Son La Province sold 1,165 tonnes of vegetables, roots and fruit. Tuyen Quang Province sold 616 tonnes of oranges, 1,789kg of tea, 6,268 liters of bee honey, and 43 tonnes of fish. Bac Giang Province sold 300 tonnes of chicken meat and 500 tonnes of live chickens. Vinh Phuc Province sold 10,000 tonnes of vegetables and fruit, more than six million chicken eggs, over 3,000 tonnes of meat, and 500 tonnes of seafood. Bac Ninh Province supplied Hanoi’s consumers with nearly 600,000 eggs each day. Currently, Hanoi’s production facilities meet only 60 percent of consumer demand for food, with the remainder sourced from other cities and provinces. Eighty percent of food in the city is sold in traditional-styled markets, and only 20 percent in convenience stores and supermarkets. Each year, Hanoi produces 1,000 tonnes of pork, meeting 70 percent of actual demand, 700 tonnes of fish, 32 percent, and 2,500 tonnes of vegetables and roots. Controlling the quality of agricultural products is a challenge for the city. Currently, Hanoi is capable of ensuing traceability of only 30 percent of food products sold in the city. Hanoi Industry and Trade Department Deputy Director Tran Thi Phuong Lan believes this rate cannot build consumer trust in the safety of agricultural products. Agricultural businesses remain weak in advertising and marketing their products. Meanwhile, most farmers focus only on production and sell their products directly to traders rather than seeking other sustainable sales approaches. 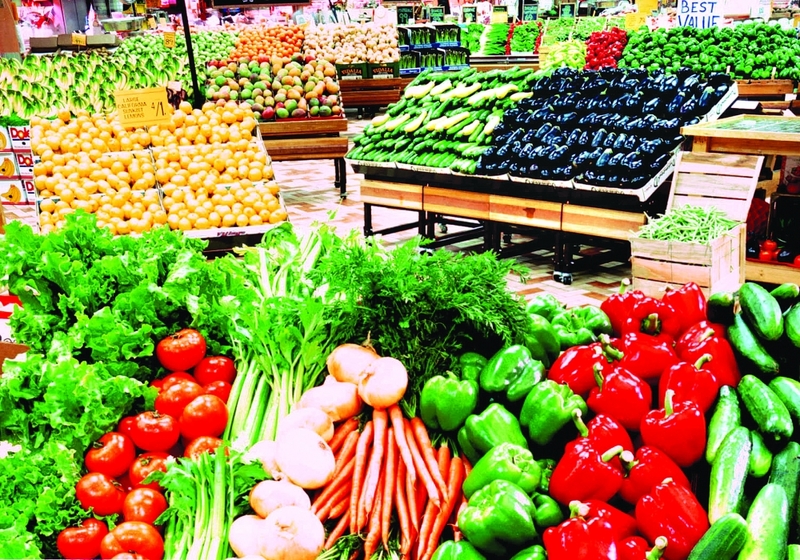 Therefore, many kinds of farm produce cannot enter modern distribution channels or be exported, leading to price falls when there is a bumper crop. Hanoi People’s Committee Vice Chairman Nguyen Van Suu said the city will take simultaneous measures, concentrating on promoting sustainable agricultural production and high-tech farming. According to Vice Chairman Nguyen Van Suu, the city will build and develop production chains, prioritizing those meeting VietGAP, GlobalGAP and organic standards. At the same time, Hanoi will standardize production to create high-quality products meeting food safety requirements for export.